Working on my Maghrebian anthology project — a very slow, long-term process — I came across an Algerian poet whose name I had heard but whose work I hadn’t seen, and even now only know through half a dozen poems. Born 14 march 1931 in Batna in a French family, Colette Anna Grégoire grew up in the small town of Menaâ in the heart of the Aurès mountains amidst a Chaoui Berber community and married an Algerian named Melki (thus her writer’s pseudonym, Anna Gréki). Her adolescence was marked by extreme poverty but also by the traditions of mutual aid, solidarity and dignity of the Chaoui community. She considered herself fully Algerian and unhesitantly joined the fight for the liberation of Algeria from French colonialism. In 1957 she was arrested by general Massu’s feared paratroopers and jailed in the infamous Barberousse prison in Algiers. Due most likely to her French origins, she was eventually expulsed from Algeria — only to return after independence, but sadly, tragically to die from a hemorrhage in childbirth in 1965. It may be unfair, but I cannot help but draw some sort of parallel with the similarly tragic fate of another foreign-born writer who joined the Algerian struggle but died en route — Franz Fanon. 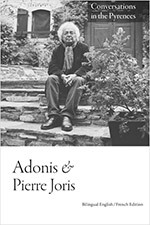 Fanon, of course, is and remains much better known, maybe because, half a dozen years older, he was able to complete more of his work which was that of a political theorist, while the work of the woman poet was cut short by her untimely death, leaving us with only two collections of poetry, both out of print. And bring the morning daffodils to their pre-school teacher. Thank you for this. I teach at Cornell University, and we’ll be reading one of Gréki’s poems at a poetry night today. She really should be translated into English.